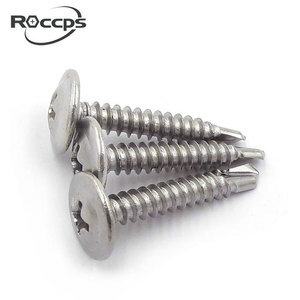 Chinese manufacturer round wafer head self drilling tek screws Detailed Images Product Features Item Galvanzied Carbon Steel Round Head Self Drilling Screw With Black Washer Type Chinese manufacturer round wafer head self drilling tek screws Material Carbon steel Surface Zinc plated Used rooftop, building industry machinery Packing & Shipping About Us Established in 2005. 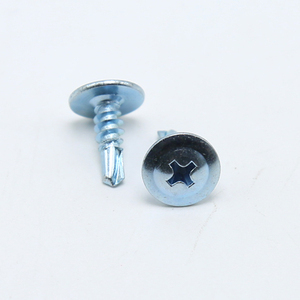 Handan Shuang Zi Metal Products Co., Ltd. Is a professional manufacturer of fastener, mainly including: self drilling screw, blind rivets, drywall screw and steel structure bolts. 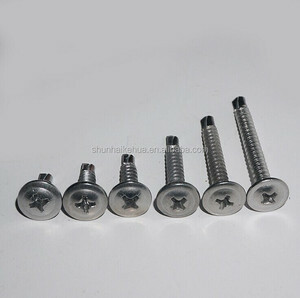 Shuangzi always be committed to the production and research of drilling screws since its inception, We registered and introduced the advanced equipment from Taiwan , employed the top domestic designers for product process , such as hexagon-shaping&#12289;clipping&#12289;thread-rolling&#12289;carburizing&#12289;zinc plated&#12289;washer machine&#12289;package ,etc. 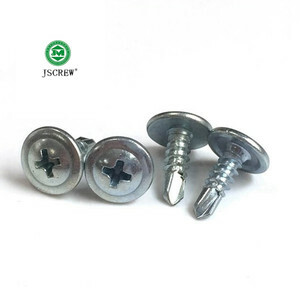 Jiashan United Oasis Fastener Co., Ltd.
We focus on producing,developing and selling fasteners and metal parts. Our products are exported to USA,Canada,Brazil,EU,etc. Our products obtain ISO 9001 quality standard system and highly praised and affirmed by our customers all the time. Q: Are you trading company or manufacturer 9 A: We are an industry and trade integration business, our company located on Dalang town,DongGuan. Q: Do you provide samples 9 is it free or extra 9 A: Yes, we could offer the sample for free charge but do not pay the cost of freight. Technology Here are pictures about the technology and the procedure of our produts from production to the sales . Tianjin Chaotuo Imp. & Exp. 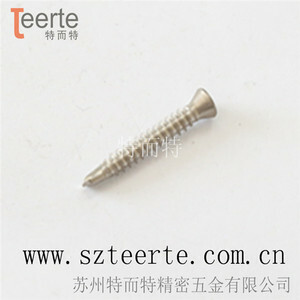 Co., Ltd.
Alibaba.com offers 1,598 wafer head self drilling screws products. 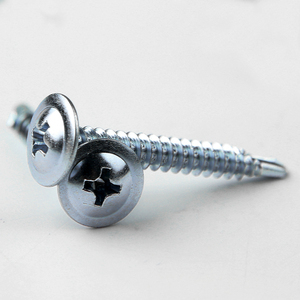 About 90% of these are screws, 1% are bolts, and 1% are self-drilling screws. 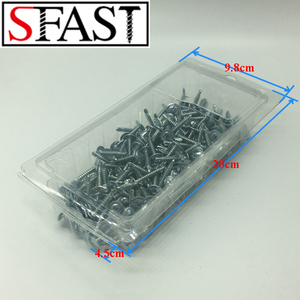 A wide variety of wafer head self drilling screws options are available to you, such as free samples, paid samples. 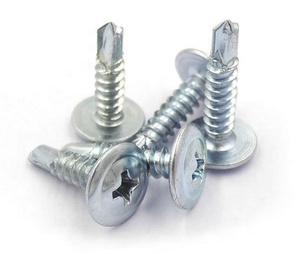 There are 1,515 wafer head self drilling screws suppliers, mainly located in Asia. 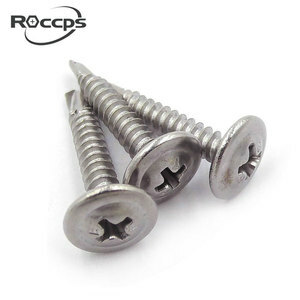 The top supplying countries are China (Mainland), Taiwan, and India, which supply 94%, 3%, and 1% of wafer head self drilling screws respectively. 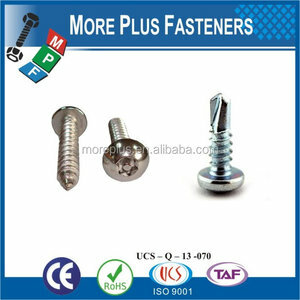 Wafer head self drilling screws products are most popular in Mid East, North America, and South America. You can ensure product safety by selecting from certified suppliers, including 541 with ISO9001, 36 with ISO14001, and 25 with Other certification.